Gimme some 6 month old sugar! Oh how I love this age! They are so happy and easy to photograph and their personality really shines. It’s amazing to see the changes in six months since their newborn session too! Being a Medina Ohio baby photographer, there is nothing better! 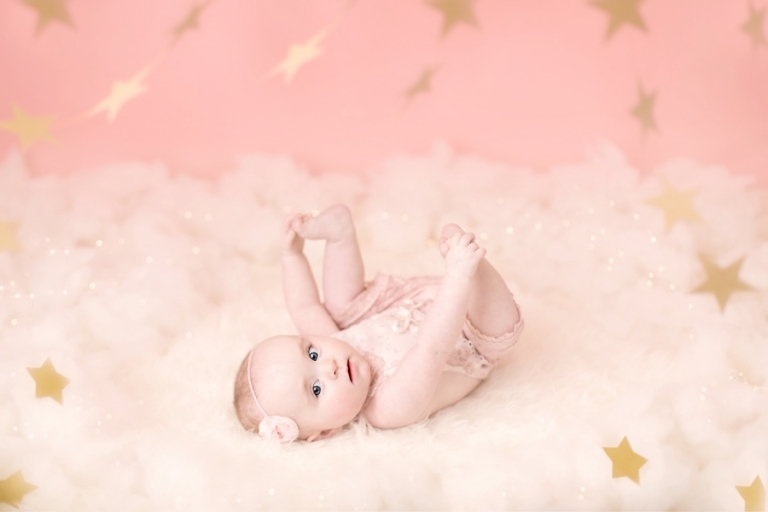 Aria’s momma requested pink and gold for her session and I wanted to give her something a little special. 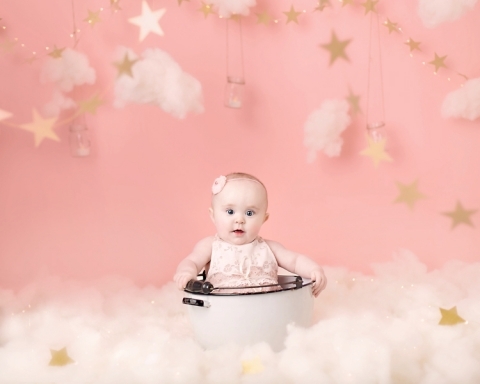 This twinkle twinkle little star set became my vision and I loved how it came to life! Such a soft, classic baby set that I hope they will love for years to come. 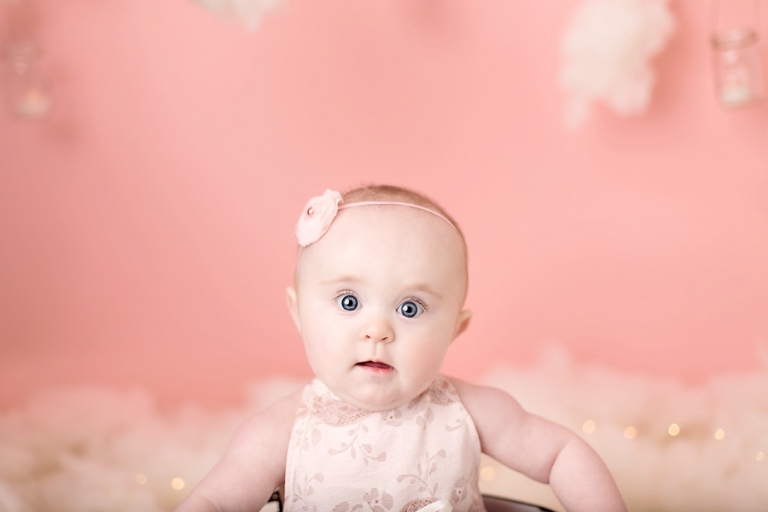 Aria’s momma also wanted a spring set so we had some fun with this colorful backdrop from LemonDrop Shop and curly layer from Buttercup Baby Props. Since she wasn’t a fan of her tummy yet, we had to be fast and improvise but they turned out oh so cute! Mmmmmm baby toes! I love how at this age they play with their feet and try to get them into their mouth. So adorable! I know sometimes mommas don’t want them eating their feet but it’s all part of capturing where they are developmentally. Trust me, someday you will love photos like these when they are grown. I know I do of my girls! Last but not least, Aria’s daddy saw this American flag scarf hanging in my collection and asked to use it. I love how it turned out and when dads get involved! Just look at that little gummy grin! Thank you so much for stopping by the blog! 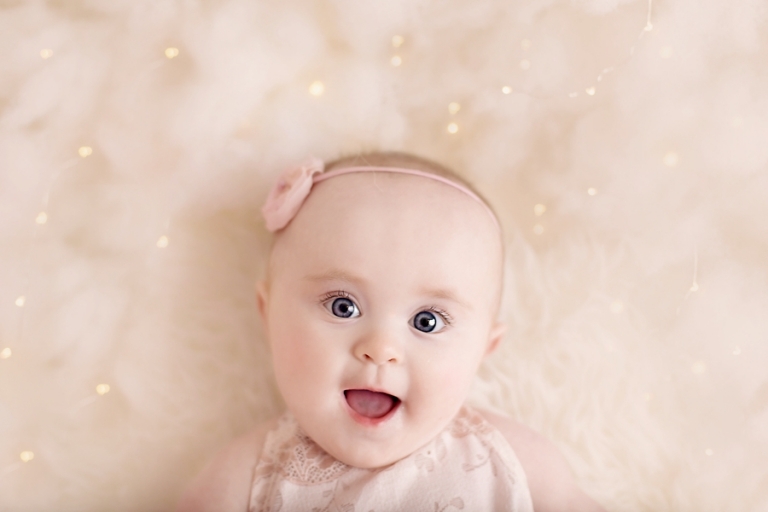 To see more of the milestone work, please visit the baby portfolio page or the category on the blog. Looking for a Medina Ohio baby photographer? If you are interested in scheduling a session, I would be happy to chat with you on creating your own custom sets! Please email me at mary@marychristinephotography.com.